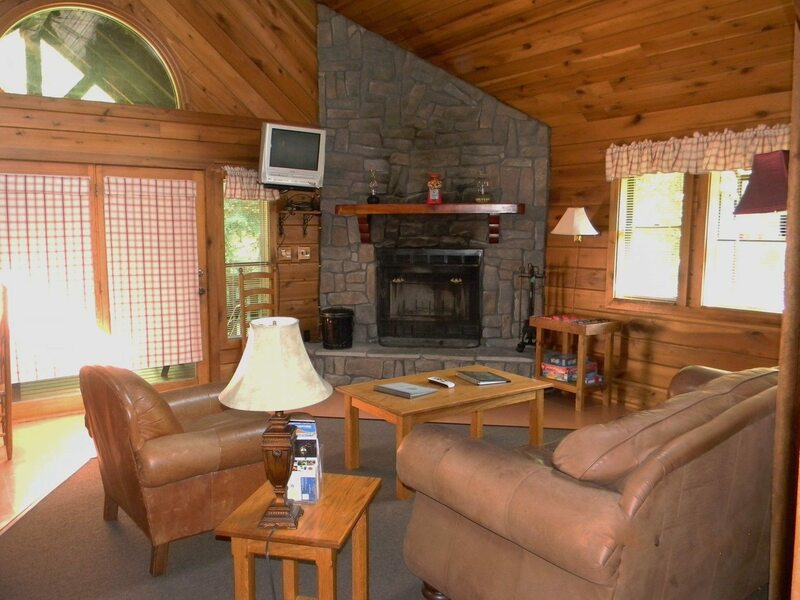 Adventurer’s Lodge is a 3 bedroom, 1 full bath vacation paradise that sleep up to 8 people. The kitchen is fully equipped. 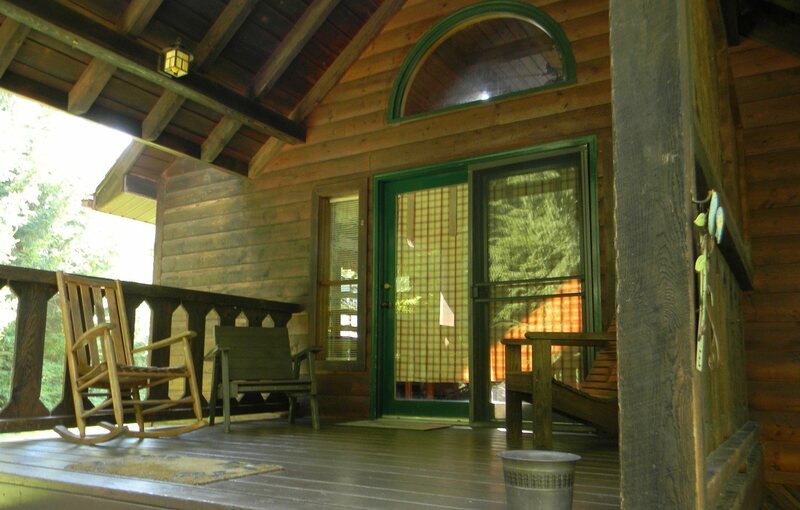 Most of the furnishings are handmade from oak. 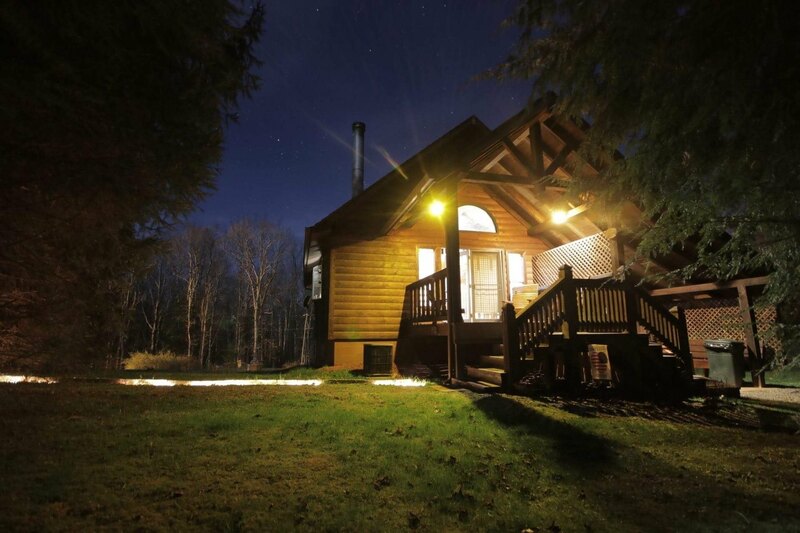 This cabin is luxurious, yet very affordable. 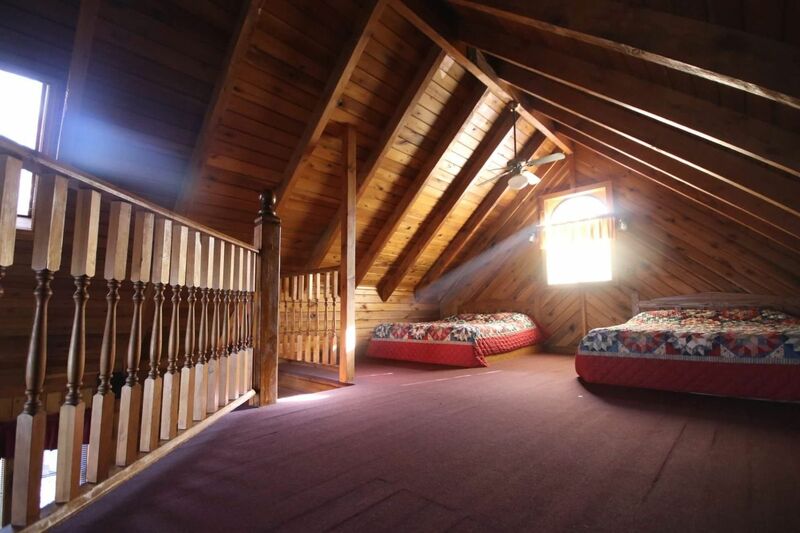 There are queen size beds in both main floor bedrooms and 2 queen beds in the loft. 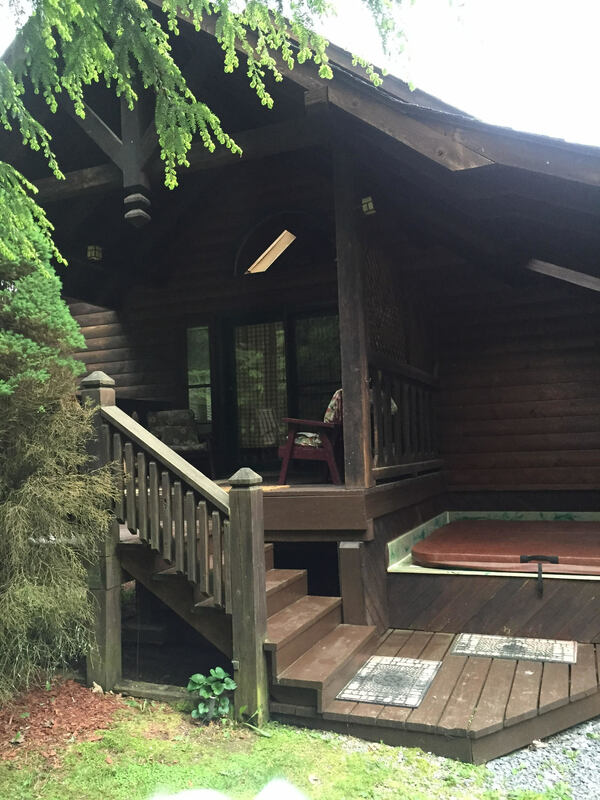 Two great places to relax is your private hot tub on the porch or in front of the huge stone fireplace. Towels, bedding and an initial supply of paper products are provided. 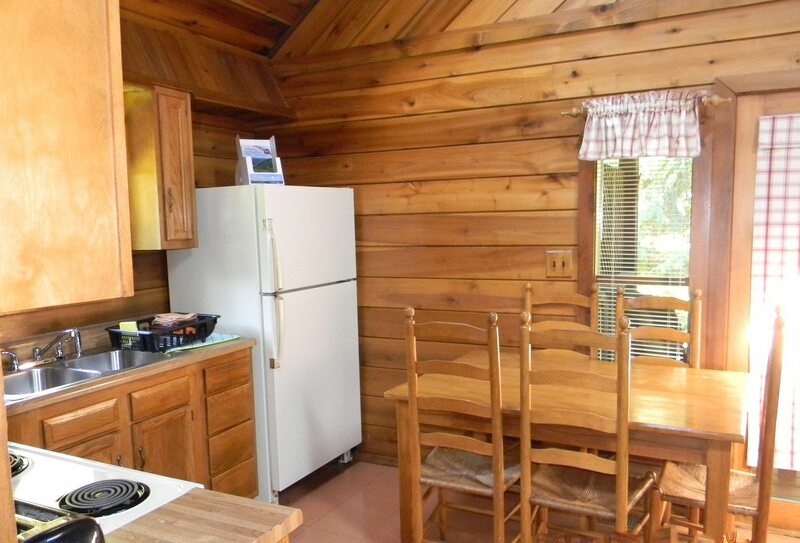 Your cabin is centrally located to nearly all of the outdoor recreation and adventure areas. 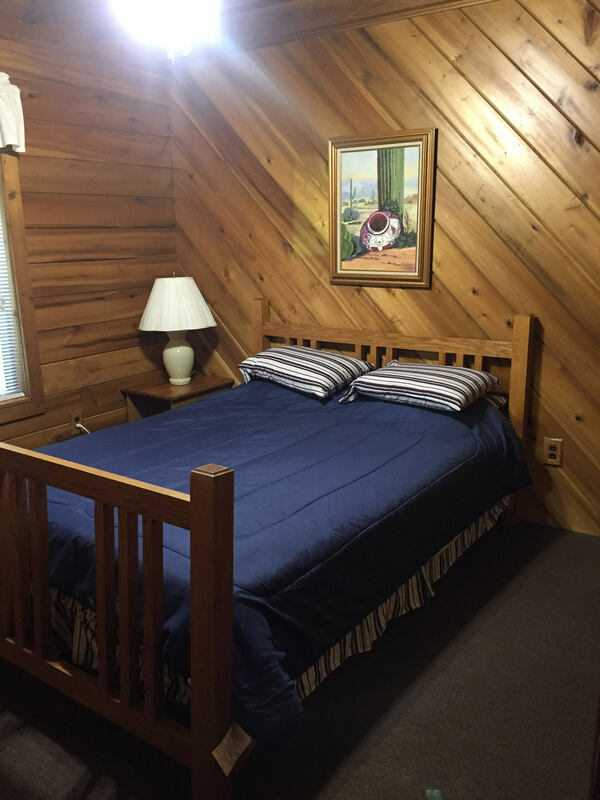 Whitewater rafting, kayaking, zip lining, rock climbing, hiking biking plus many, many more outdoor adventures are within minutes of you cabin. 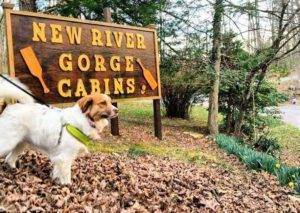 Discounts can be arranged with one of the areas premier Outdoor Adventure Companies. 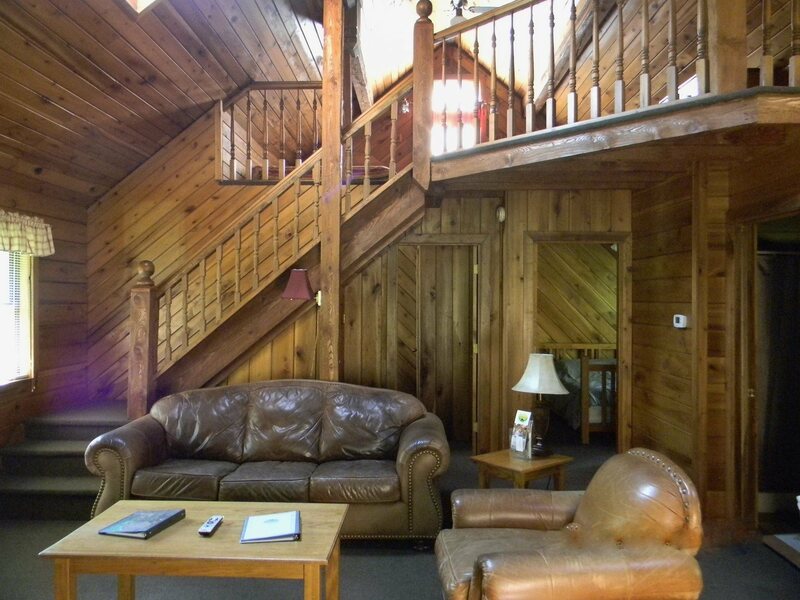 Come stay with us! We appreciate your business!